This book is a collection of poetry split into four parts: hurting, loving, breaking and healing. It is combined with beautiful illustrations and I connected to this book from its first poem. 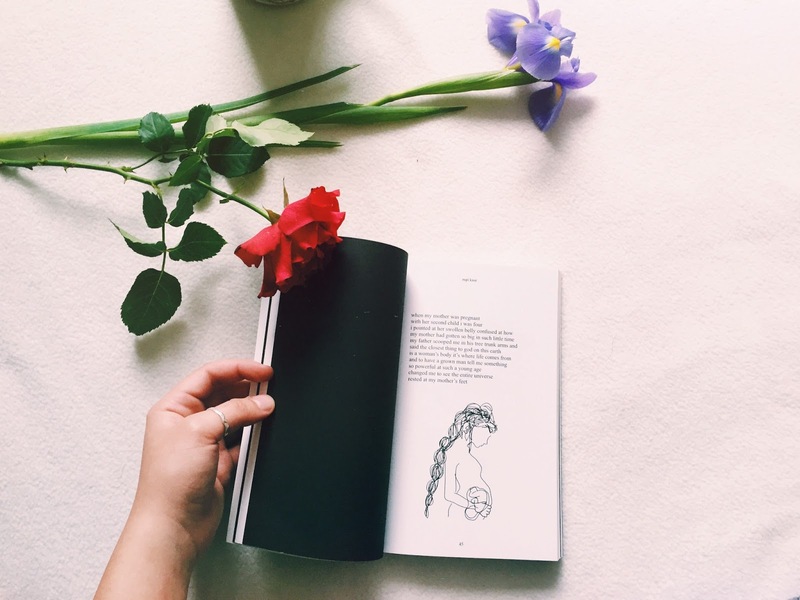 Rupi Kaur reminds us to love ourselves and love one another, to accept our femininity, to be okay with our broken parts. She encourages women to love one another but most importantly, for us to love ourselves. As she says ‘you are your own soulmate.’ A line so simple and yet something that we so often forget to remember. It also focuses on mental health, feminism, and emotional and physical pain. It looks at relationships within families as well as with spouses, and how the ruination of one could affect the other throughout someone’s life. This book is the third in ‘The Spinster Club’ trilogy by the author. 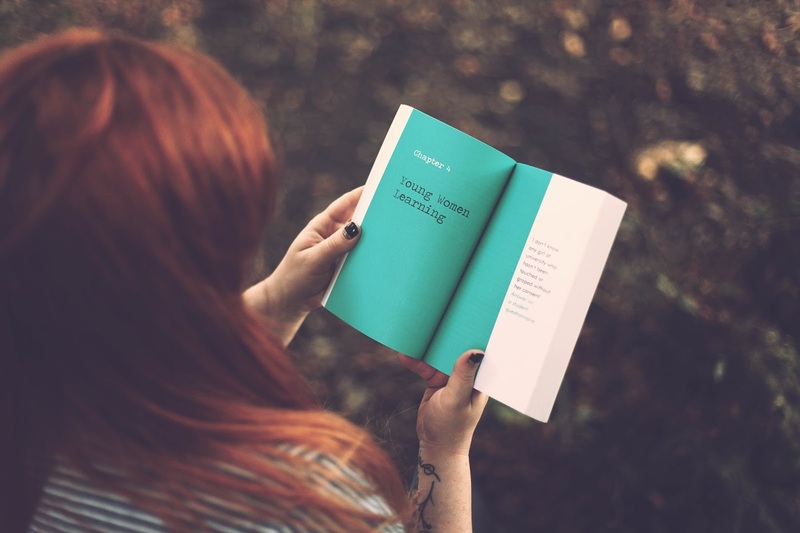 Although each book focuses on feminism, this is the book in which its main character, Lottie, goes on a mission to call out every act of sexism she witnesses or experiences. It isn’t as easy as it sounds, even if it involves blaring a horn and throwing custard pies at buses. Her parents want her to focus on more ‘important’ things, she gets in trouble at people and she receives constant abuse from a group of boys at her college. 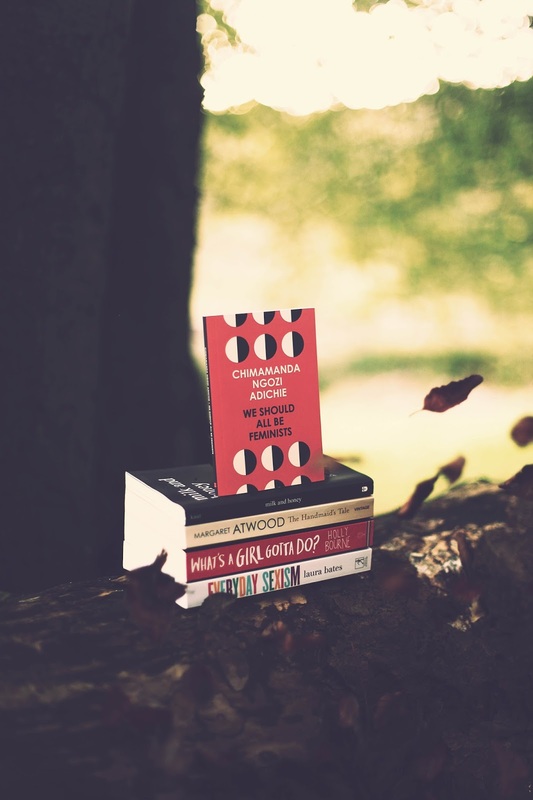 Both Lottie and the reader are surprised with how many acts of sexism there are each day – whether big or small and for a young character to do this in a YA novel is very important in our eyes. Make this series compulsory in secondary schools! 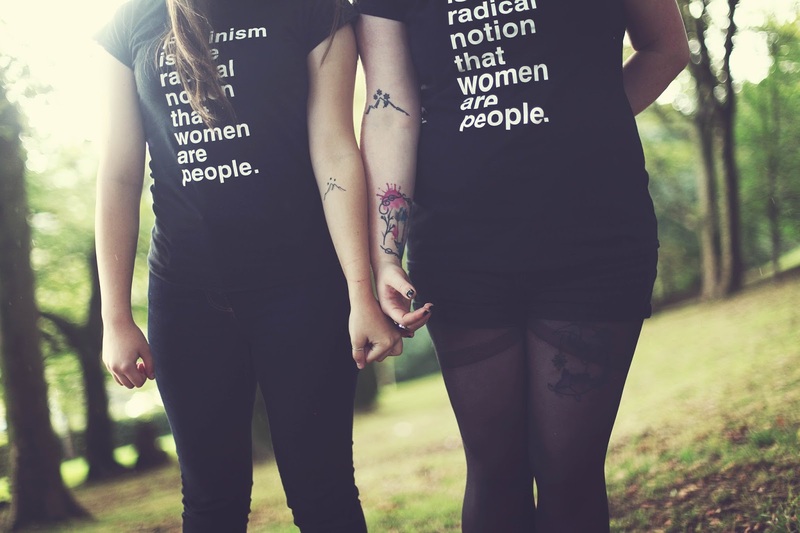 A short but powerful introduction to feminism. This is an edited version of a talk Chimamanda gave in 2012 in which she tells us her experiences both as a young girl and a woman in which she hasn’t been treated equally to her male counterparts, especially growing up in Nigeria. This book becomes a reminder of why we still fight for gender equality and destroys the misconception that a feminist ‘hates men.’ It is short but shocking and will stay with you long after you have read if you are interested in feminism or just need a stark reminder, then definitely add this book to your shelves. The Handmaid’s Tale is the story of a futuristic, dystopian USA in which women are viewed as nothing more than objects to men. After a nuclear war has taken place, women have been given specific roles in society; either wives to rich men, “Martha’s” (aka household servants) or Handmaid’s. Offred is a handmaid – her name literally meaning ‘of Fred’, and it’s her duty to provide the Commander that she’s been assigned to with heirs now that his wife is too old to conceive. The Handmaid’s Tale is a disturbing novel, with many biblical references throughout that make the government in the story believe their motives to be correct. What’s most disturbing about this book is that it isn’t hard to imagine the world that it takes place in. The Handmaid’s Tale is a classic piece of feminist fiction. Only Ever Yours by Louise O’Neill follows a similar plot to this book, written in a more modern setting. The Everyday Sexism project was started by Laura Bates after she was harassed on public transport in 2012. From this project came this book – filled with shocking stories of sexism that women experience on a daily basis. Everyday Sexism showcases real life stories which feature both the smallest incidents of sexism such as wolf whistles and cat calls, right through to serious attempts at sexual assault or gender discrimination within workplaces. 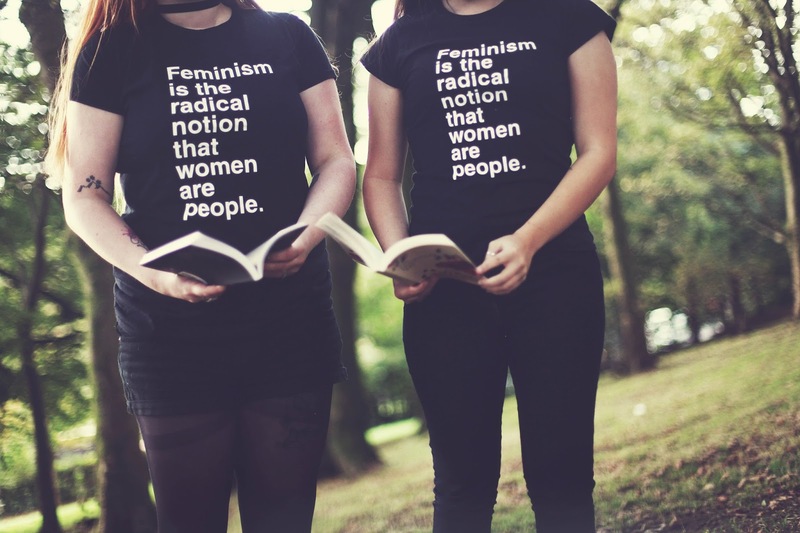 Are there any feminist books that you would recommend that aren’t on our list? This book is a collection of poetry split into four parts: hurting, loving, breaking and healing. It is combined with beautiful illustrations that I just want tattooed all over my body. I must admit I’m not usually a huge fan of poetry. 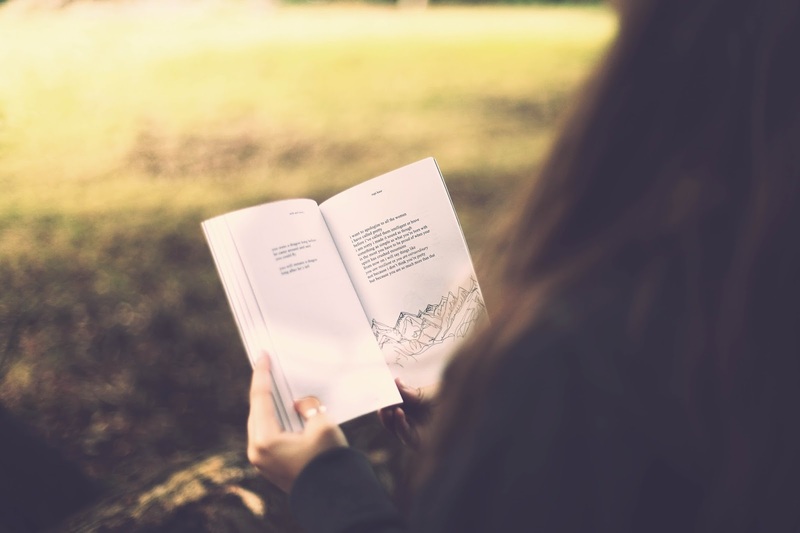 For me to like it, I need to connect with it and I connected to this book from its first poem. It hurt my heart in ways I didn’t know a heart could hurt. I experienced everything with the author, every emotion, every revelation, every hurt. I hurt, I loved, I broke and I healed alongside her. Things got close to home but in a beautiful way. 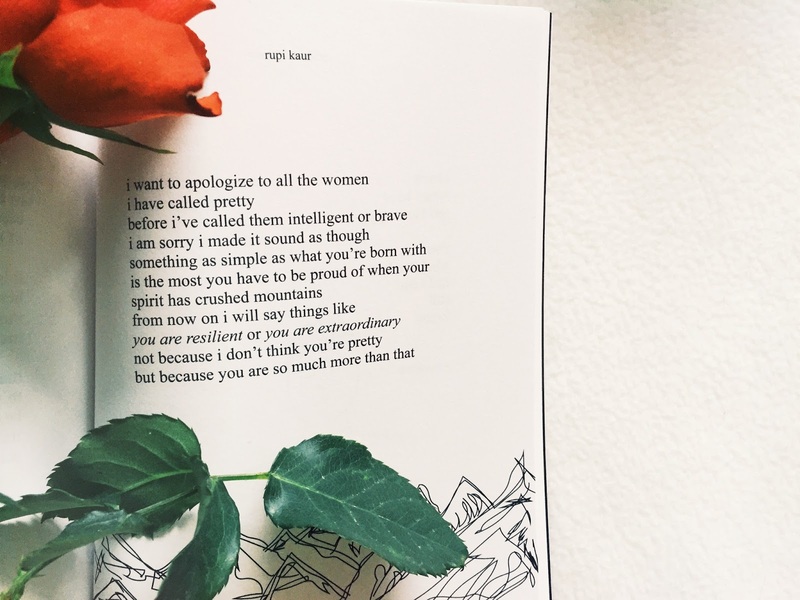 Rupi Kaur reminds us to love ourselves and love one another, to accept our femininity, to be okay with our broken parts. She encourages women to love one another but most importantly, for us to love ourselves. As she says ‘you are your own soulmate.’ A line so simple and yet something that we so often forget to remember. This book is important to me, I want to clutch it to my heart and thank it. It is honest and raw. It is eye-opening and it is addictive. I think every person, especially every woman should read this book. Rupi Kaur doesn’t shy away from all the parts that make a woman. The miracles our bodies can perform, the pain that we can withstand. All the horribly beautiful things that make us. I’m happy a book of poetry like this exists, written by a woman who has known pain but has also known healing. the greatest tragedy is being convinced we are not. I’ve been a fan of Rupi Kaur’s work for a while now, after seeing many of her poems on Instagram and always being to relate to them in some way. I’m so glad that I finally decided to pick up Milk and Honey so I could read more of her work – although I can appreciate some poetry every now and then, I’m not the biggest fan of it and I’ve never read a poetry book until now. Despite that, I’m confident that this was the best possible book of poetry I could have read. I jumped straight into this book and read it in one sitting, and then went back and read the entire thing again. These poems made me feel so many things, and many of them felt like they’d been plucked right from my own thoughts. 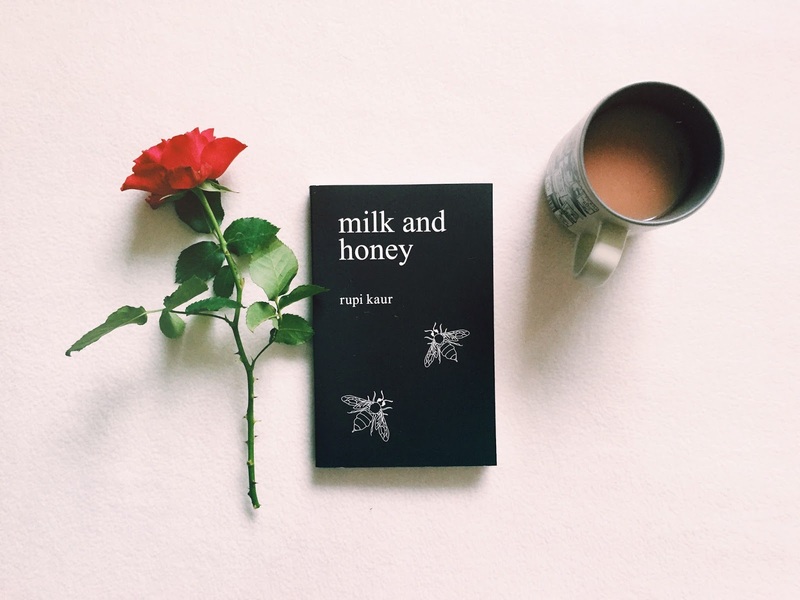 Milk and Honey’s overall theme is one of relationships; from how they begin to how they end, and all of the hurt and healing that happens in between and during those two defining moments. It focuses on mental health, feminism, and emotional and physical pain. It looks at relationships within families as well as with spouses, and how the ruination of one could affect the other throughout someone’s life. Have you read this book? If so, what were your thoughts?